An outbreak of equine influenza in Britain has brought racing across the country to a standstill. 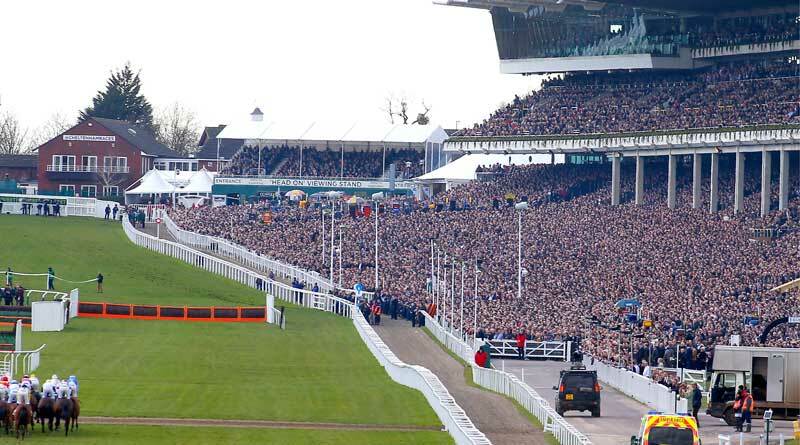 The British Horseracing Authority announced on Thursday that racing would be cancelled as part of precautionary measures to reduce the chances of the disease spreading. Authorities will decide on Monday whether it will be possible for racing to safely resume next Wednesday. The BHA’s veterinary team was in contact with more than 50 trainers and veterinarians before making the decision to halt racing. It came following three confirmed equine flu outbreaks in vaccinated horses in a British racing yard on February 6. Horses based at the infected yards are known to have travelled to three race meetings. All trainers who had runners at the fixtures at Wolverhampton, Ludlow and Ayr this week have been informed that their yards have been placed under a temporary hold. This means that they will not be able to make any entries until their horses have been tested and cleared. The shutdown will provide time to assess the scale and severity of the outbreak. Results of tests over the next few days will help the industry decide on any further action. It is not currently recommended that other, non-racing, equine events are cancelled but this might change depending on how the disease develops. The British Equestrian Federation says it is closely monitoring the situation. Britain’s Animal Health Trust said it fully supported the decision and was keeping the racing authority and its industry veterinary committee advised on developments. The trust urged all horse owners to be vigilant and familiarise themselves with the clinical signs of equine flu, which include harsh, dry coughing, nasal discharge, lethargy and an increase in temperature (>38.5°c). These signs may be mild and not all horses will present with all of these. Concerned owners should consult their vet as soon as possible. Vets can take a swab and blood sample and send it for testing, free of laboratory charges, to the Animal Health Trust’s equine influenza surveillance scheme, which is funded by the Horserace Betting Levy Board. Equine flu is a highly contagious respiratory disease caused by the equine influenza virus. The virus is spread from horse to horse via respiratory droplets by direct contact as well as coughing and via indirect contact where appropriate biosecurity is not being followed. The virus relies on this transmission to new horses to survive and one of the most notable features of flu is the very quick spread of clinical signs in groups of horses and its ability to spread large distances in the air. Therefore horse owners are encouraged to consider their existing biosecurity arrangements. This includes ensuring they practice good general hygiene and isolating any horses showing flu-like signs. The AHT is also recommending horse owners re-vaccinate their horse if their vaccination was carried out more than 6 months ago, in order to maximise the chance of having protective immunity. The director of epidemiology and disease surveillance with the trust, Dr Richard Newton, said the decision by the British Horseracing Authority to cancel racing was necessary in order to restrict, as far as possible, the risk of further spread of equine flu officials gain a better understanding of the situation on the ground. Flu testing via nasal swab. The disease can take up to three days before symptoms are visible, meaning it will take until Sunday at the earliest before racing officials can see whether the outbreak has spread among racehorses or beyond. The racing shutdown also provides time for Animal Health Trust officials to collect and assess samples, providing racing officials with information that will allow a fully informed decision to be made on Monday on whether racing can resume midweek. The racing authority said it was grateful to trainers and veterinarians for the rapid flow of information and feedback it received on Thursday. “Because of this, we have been able to make an informed decision earlier than we expected and before we have any test results back from horses from the affected yards that travelled to the three meetings,” it said in a statement. A plan will be constructed for the rescheduling of key races, it said. Meantime, anyone visiting a racing yard should exercise appropriate caution and check with a trainer first. Trainers are advised to limit where possible the movement of people to and from their yard, and put in place appropriate biosecurity measures. All British thoroughbreds are vaccinated against equine influenza. However, cases have been seen in vaccinated horses. The disease can be serious in unvaccinated horses, although symptoms in vaccinated horses are usually mild and transient. Symptoms may include a raised temperature, a cough and nasal discharge. It is highly contagious. Humans are not at risk from the virus, though can spread the virus on clothes and equipment. The Animal Health Trust says it confirmed two separate outbreaks of the flu in Suffolk on February 4. One outbreak affected eight vaccinated two-year-old Thoroughbreds that presented with coughing, nasal discharge and fever. The second outbreak affected six unvaccinated non Thoroughbreds. Cases in non-Thoroughbreds have been confirmed in Yorkshire, Lincolnshire, Derbyshire, Cheshire and Essex on dates ranging back to the start of the year. Virus isolation and sequencing analysis has been carried out at the trust laboratory confirms that the virus belongs to clade 1 of the Florida sub-lineage of H3N8 equine influenza. For many years Florida clade 2 (FC2) has been the dominant clade circulating in Europe. It was responsible for the 2003 outbreak in Newmarket, the last major outbreak affecting Britain, and caused sporadic outbreaks across Europe ever since. However, Florida clade 1 (FC1) has been less common in Europe. Although the last isolation of FC1 in the UK was February 2018 (from one outbreak affecting two horses that were recently imported from the Netherlands) FC1 had not been detected in Britain since 2009 and in Europe since 2011. FC1 viruses are typically found in North America and were responsible for several major outbreaks around the world, including in South Africa in 2003, in Japan and Australia in 2007 and in South America in 2012, and again in 2018. So far the origin of the virus affecting Britain is unknown and no epidemiological link with the ongoing outbreaks in Europe has been made. Both clades belong to the Florida sub-lineage of the American lineage of H3N8 equine influenza viruses. Since 2010, the World Organisation for Animal Health (OIE) has recommended that both clades are included in vaccines. FC1 is represented by Ohio/03-like and South Africa/4/03-like strains, whilst FC2 is represented by Richmond/07-like strains. The trust urged horse owners to be on the lookout for possible cases of equine influenza where clinical signs may be mild and could include coughing, nasal discharge and fever. Some horses with influenza do not show all these signs and infection can easily be missed. The British Equestrian Federation said it was closely monitoring the situation, but veterinary experts have advised that it was not necessary to cancel equine events under its jurisdiction at this time. It urged owners to ensure that all vaccinations were up to date, with horses given a booster if it has been more than six months since their last vaccination. It said horse and pony owners should be vigilant and follow recommended guidelines on how to detect and prevent the spread of this infectious disease. A vet should be called immediately if signs of the flu are seen. Horses showing flu signs should be isolated immediately. “It is essential that any horses showing signs of possible equine flu, or horses that might have been in contact with possibly infected horses, do not travel to competitions or other events where there will be groups of horses,” the federation says. “If your horse has been in contact with an infected horse we suggest that you should take immediate veterinary advice. There are two such vaccines currently licensed Britain, ProteqFlu and Equilis Prequenza.